Sun., July 23, 2017, 1:08 a.m.
Ah, summertime in the Inland Northwest, with farmers markets and neighborhood markets bursting with fresh, local produce. Did you know this regional bounty can save you money? As general manager of downtown Spokane’s Main Market Co-op, Megan White is working to counter the perception that high-quality, regionally sourced, organically grown food is beyond the spending power of the average shopper. 1. Buy in bulk. 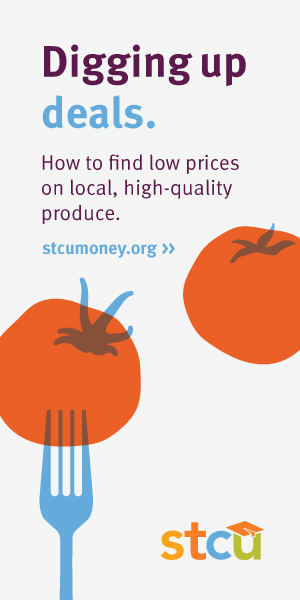 Ask at your co-op or farmers market to negotiate a better price for a big box of produce. Freeze or preserve what you can’t eat soon. 2. Buy what’s in season nearby. When farmers don’t have to transport their crops far, their costs go down ― and so do yours. 3. Plant your own food. If you have a pot, you can grow strawberries. Just think what you could do with a backyard! Published: July 23, 2017, 1:08 a.m. Updated: Aug. 6, 2017, 1:08 a.m.